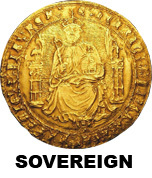 The Gold Sovereign was first issued during the reign of Henry VII in 1489 and had a value of twenty shillings. 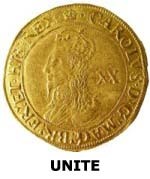 In those days if a coin had a face value of twenty shillings it would have an intrinsic gold bullion value of the same and these coins were large and flat and like most coins until the reign of Charles II were hammered out by hand one at a time. 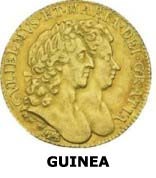 This early gold sovereign evolved in size and intrinsic gold content through the unite, laurel and gold pound culminating in the guinea issued from 1662 to 1815. In 1817 the sovereign of the size and weight we still see today was introduced, and contains 0.2354 of an ounce actual gold content. For the collector with an eye to gold investment London Coins offers a buy and sell spread on Great Britain gold sovereigns, that have been authenticated genuine, graded as per numismatic state of preservation and fully attributed by CGS Limited, an independent numismatic grading and attribution company, who have guaranteed all the sovereigns we offer as genuine. A fantastic offer - Gold Sovereigns at bullion related prices - authenticated, attributed, graded, and encapsulated.